SNAFU! : Warhammer News (oh you thought it was over?). S. Korean Dove President says N. Korea inching closer to the red line! Warhammer News (oh you thought it was over?). S. Korean Dove President says N. Korea inching closer to the red line! South Korean President Moon Jae-In has for the first time defined what he would consider a “red line” in dealing with provocations from North Korea, in contrast with U.S. President Donald Trump’s reticence on the matter. 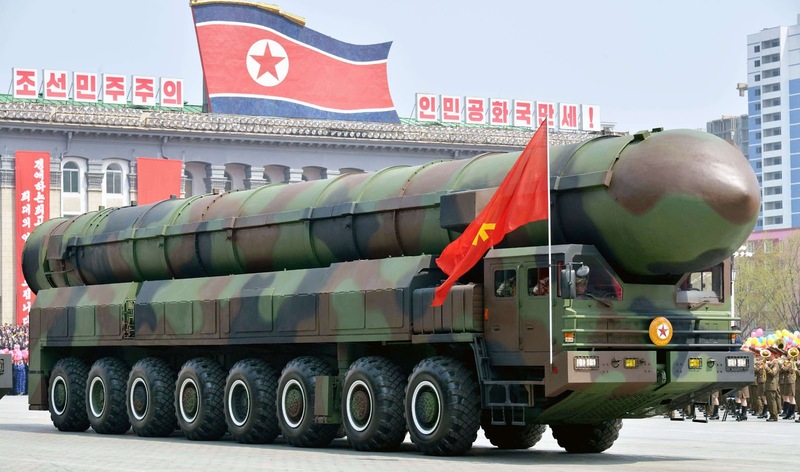 The recently-elected president Moon said Pyongyang would be crossing a red line if it launched an intercontinental ballistic missile (ICBM) and weaponized it by fitting a nuclear warhead on top of the rocket. "North Korea is getting closer to the threshold of the red line," Moon warned at a press conference in Seoul on Thursday marking his 100 days in office, as reported in the local Yonhap news agency. This is silly bluster. It's been obvious from open source materials that N. Korea probably crossed this redline LAST YEAR! Consider this story another attempt to prepare the public for war....South Korean residents especially. Additionally we can track the travels of the Chairman of the Joint Chiefs of Staff and it's obvious between that and the almost CONSTANT consultations we're seeing between the US and Japan...and now S. Korea, that preparations are taking place. We're seeing a psyops campaign against the American people with the intent to prepare them for inevitable war against N. Korea. My timeline remains the same. I think the US along with Japan/S. Korea will be conducting combat operations against the North Koreans sometime this winter 2017/2018 (Nov-Feb).